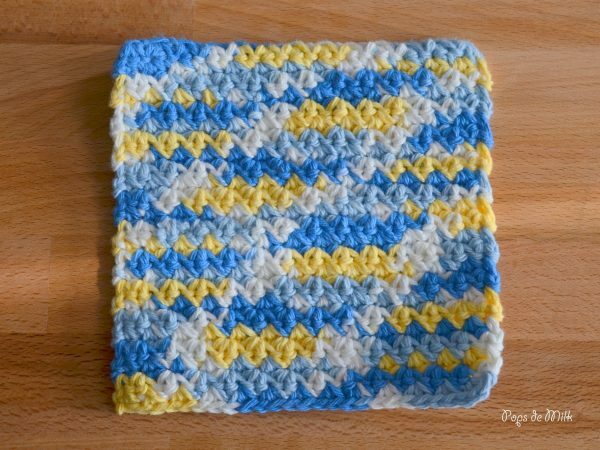 I don’t remember when I first started using crochet dishcloths but I haven’t gone back to disposable scrubs since. 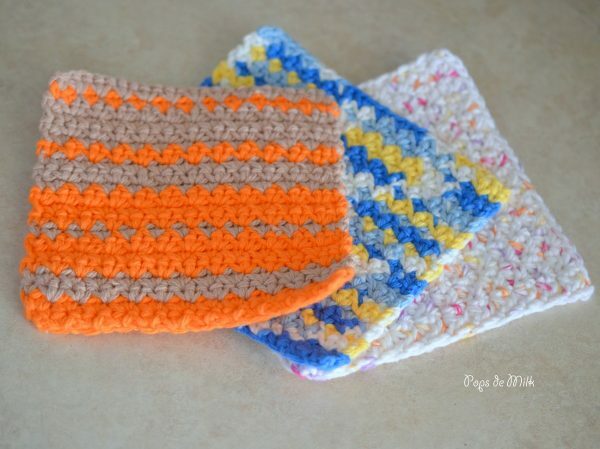 I absolutely love using crochet dishcloths. 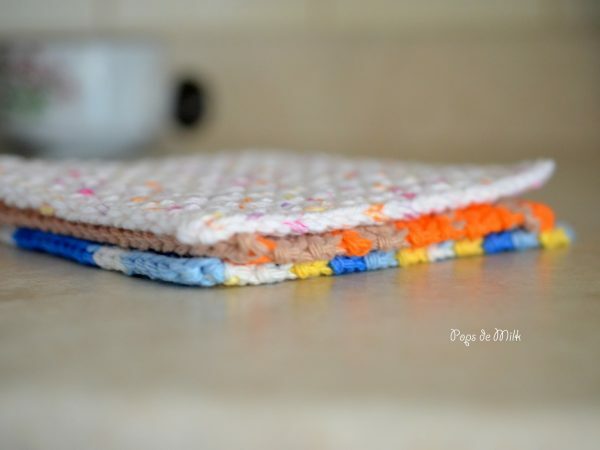 Aside from being able to reuse them again and again, they work up such a great, soapy lather and are perfect for surfaces that require gentler cleaning. Of course, they do not last forever and eventually become tattered and torn. 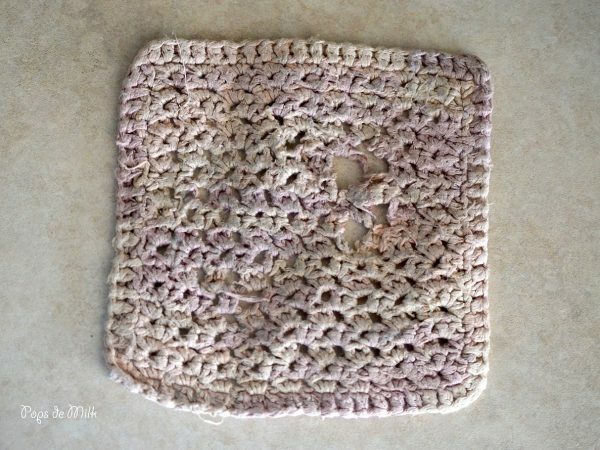 A few days ago I was searching for a clean dishcloth and realised I was down to my last two “good” cloths (the others were either on their way out or were already in a better place). It was time to make more. I’m using my go-to dishcloth pattern to make these durable and functional cloths. 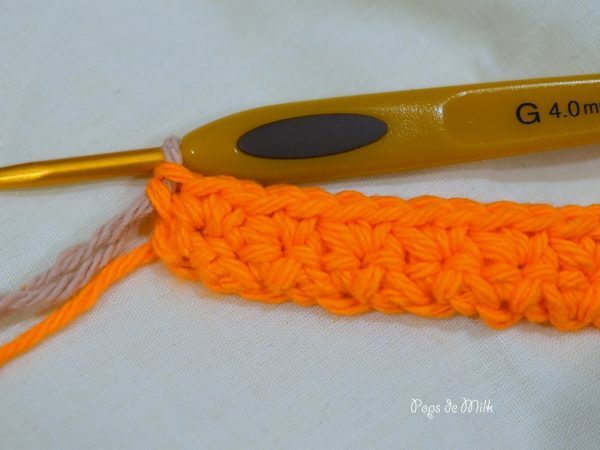 The pattern uses a stitch found on New Stitch A Day and is very easy to do, perfect for beginners. 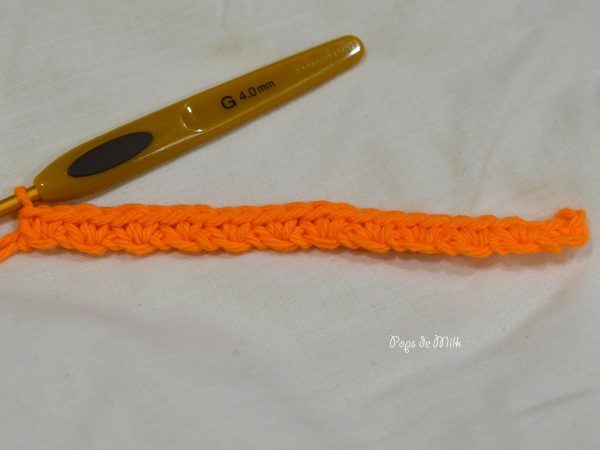 You can make the cloth bigger or smaller by adding more foundation chains. 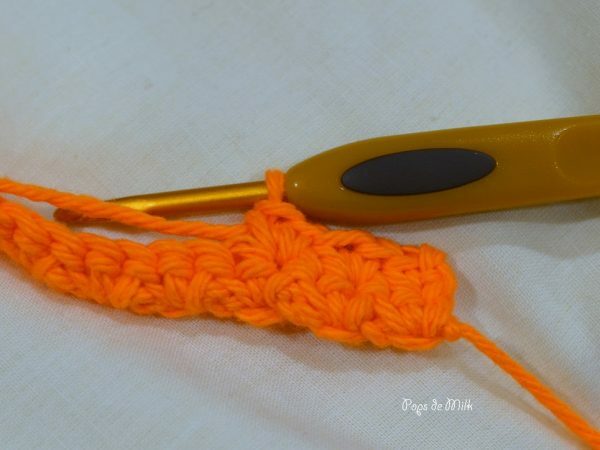 You can also adjust the size and texture by using a smaller (or larger) hook. The pattern is worked in rows with a foundation of multiples of 2 plus 3. Row 1: ch 27 (24 plus 3), sc in 3rd ch from hook *skip 1 ch, 2 sc in next ch* repeat from * to last 2 ch, skip 1 ch, sc in last, turn. Row 2: ch 1, sc in first st *skip 1 sc, 2 sc in next st* repeat from * to last 2 sts, skip 1 sc, sc in top of beginning ch, turn. Repeat Row 2 until piece measures approx. 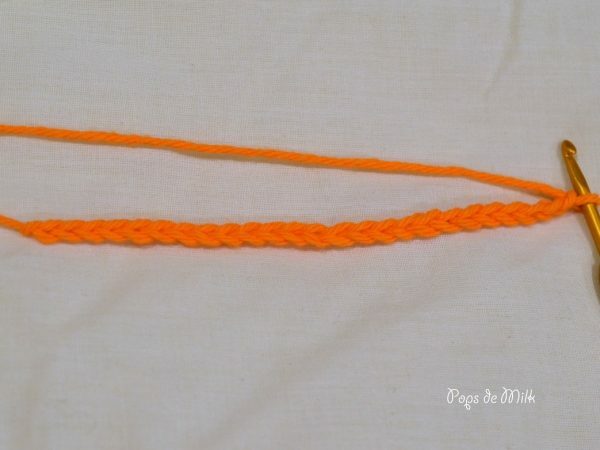 5.5″ or desired size. 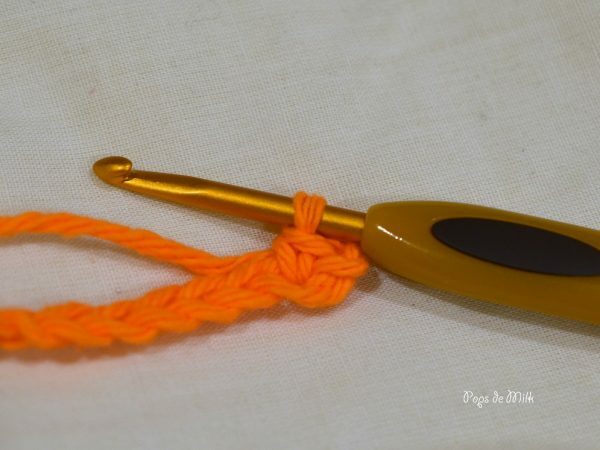 Fasten off and weave ends. Cloths can be machine washed and dried. 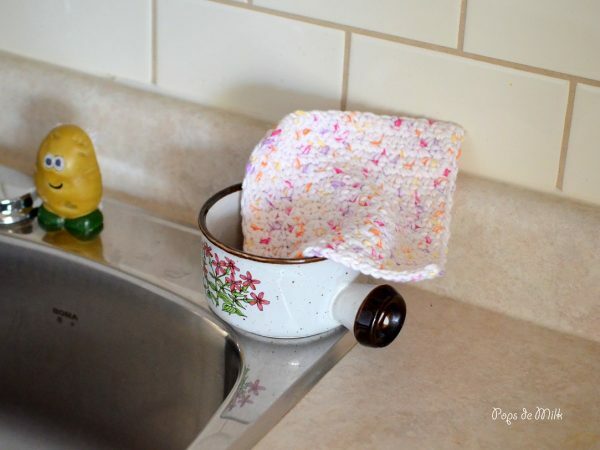 Whenever my dishcloths start to smell I soak them in vinegar before washing and drying (usually the drying gets rid of any musty smells). After many months of use this is what the cloths will start to look like and that’ll be your cue to make more! What a lovely idea! And a great stash-buster too. The texture will definitely help remove those stubborn spots.